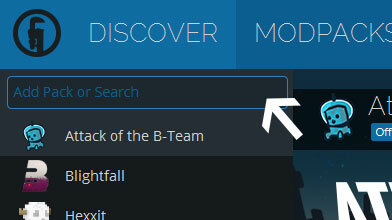 Type in the modpack name (Hexical Future 3) or paste the following url into the search box. Finally, click Install at the bottom right of the launcher after you select Hexical Future 3 from the list on the left. The launcher will handle everything else! Hexical Future 3! Rebuilt from the ground up for 1.10.2!! --Larger dungeons from DungeonDQ will cause the internal server to lock up. You'll still be able to move around but mobs will freeze in place and you won't be able to interact with anything. Once generation is complete everything should catch up with you. If you find yourself freezing like this often try disabling larger structures in the DungeonDQ config in game. I have oversized structures disabled by default for this reason. --This pack contains betterfps. There are multiple algorithms to choose from in the mod. Depending on your hardware some may actually make your game run WORSE. Run the jar file for the mod directly to launch the installer and run the system test to see which algorithm is best for you. --I use Structpro for dungeon spawning in my pack. ALL schematics have been hand edited to add mobs and treasure! 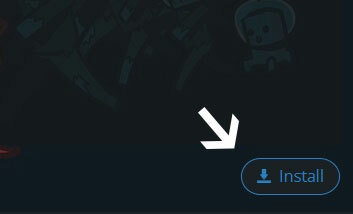 --If the pack launches but comes to a blank white screen instead of the menu (you should hear the music playing) you will need to disable fast render in the optionsof.txt file in the modpack directory. --I know VeinMiner can achieve the same effects as Treechopper and then some but I prefer how Treechopper handles the chopping of trees over that of veinminer. Hence why I have both in the pack, treechopper for trees, veinminer for everything else. Not all axes work on all trees. I plan on fixing this eventually. --Wolf Armor only works on vanilla wolves. It will not work with Sophisticated Wolves. --Not much else yet, I'll update as I find things. -- I go through phases, I won't play anything minecraft related for like 6 months, then I'll dive back in full tilt. If the pack hasn't been updated in awhile and isn't noted as final version, I'll be back to it eventually. Without further ado, the modlist(coremods not listed)!